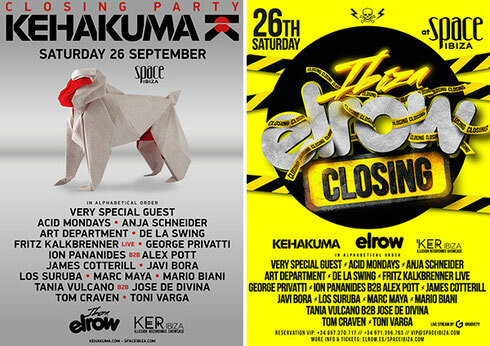 Saturday 26 September sees the closing of of elrow and Kehakuma at Space Ibiza, as two of the most popular parties on the island unite for one last time this season. The party will feature more than 10 hours of music at the hands of 18 DJs in three different rooms, plus 10 theatre companies with more than 100 actors prepared to upend Space Ibiza - two different concepts together, aiming to provide a great party experience. Kehakuma finds Fritz Kalkbrenner, Los Suruba, Javi Bora and the b2b between Tania Vulcano and Jose de Divina, who will accompany the German at the Terraza to close the season. 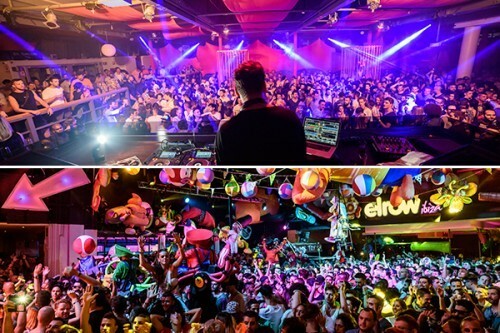 elrow is headed by a very special guest who will be joined by three other acts, Acid Mondays, Anja Schneider and Art Department. Also playing are residents Marc Maya, De la Swing, Toni Varga, George Privatti and Mario Biani. On the Sunset Terrace, Ker will host an Illusion Records Showcase, Tom More, Alex Pott and Ion Pananides plus a special guest.